Can you ever say no to food? No, of course not! Food is too good! Food is life. At least my life. I don’t know about you guys. Anyway, moving on. A few weeks ago, Ahi Poke, a London-based restaurant got in touch with me. They wanted me to come review their restaurant. After having a look at their Instagram to see what kind of food they were doing, I could only say yes. First because, well, as I said, food is life. Second, because their food pictures looked just so good! And so I went last weekend with a friend. But first, what is Ahi Poke? A restaurant serving Hawaiian food with a California vibe. The fish is responsibly and sustainably caught. They work closely with their supplier to make sure all fruits and veggies are top quality and freshness. And their packaging is 100% biodegradable. Looks like they are getting a top mark! They have three restaurants in London and I went to the one in Fitzrovia. How it work is simple. You can either chose a pre-made bowl or pick the ingredients yourself. 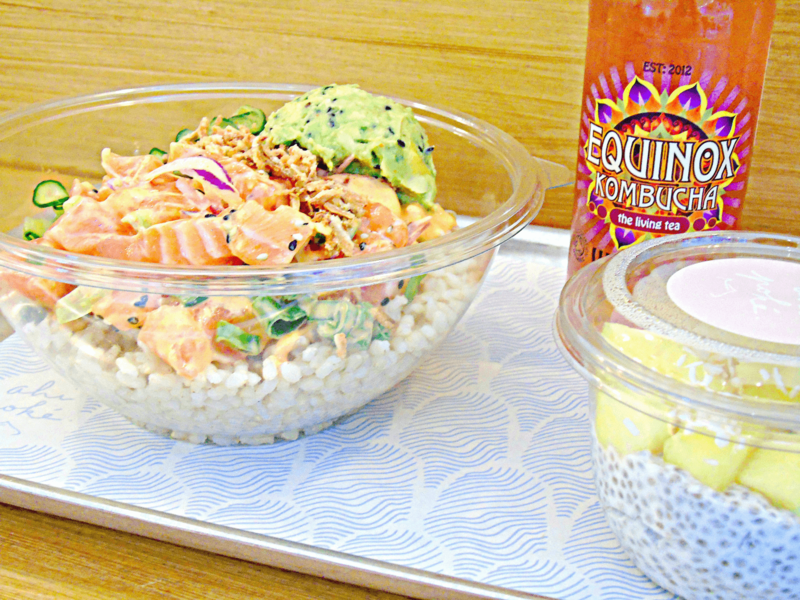 I went in between choosing the Heat Wave Bowl (Quinoa, Salmon, Smashed Yuzu Avocado, Red Onion,Kimchee Cucumber, Coriander) but swapping Quinoa for rice. And also got dessert (my first time trying shia pudding) and a drink. Quoting my friend again here. It felt fresh, it felt light, it felt healthy. 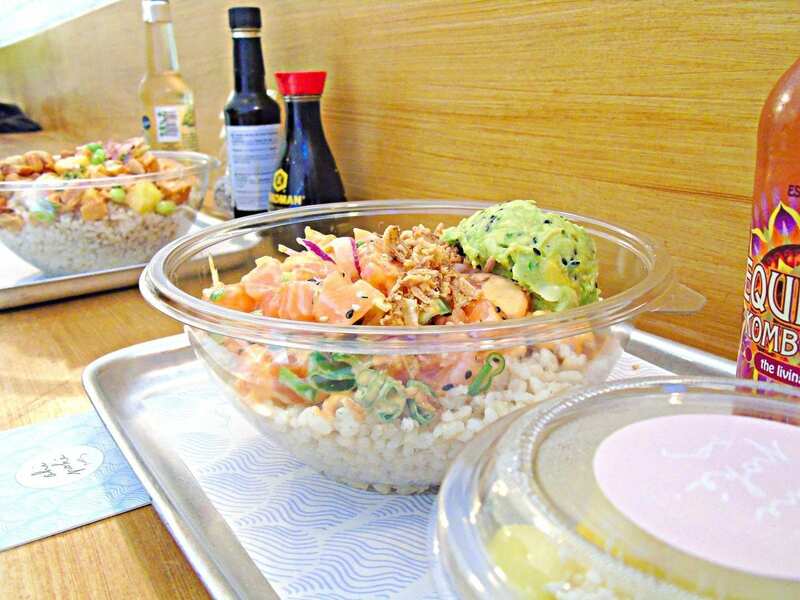 You got it, eating at Ahi Poké was a cool experience. I have to admit the shia pudding did not convince me but it is probably more about personal tastes than anything else. Ahi Poke’s mission is to bring traditional and delicious Hawaiian food to the streets of London. 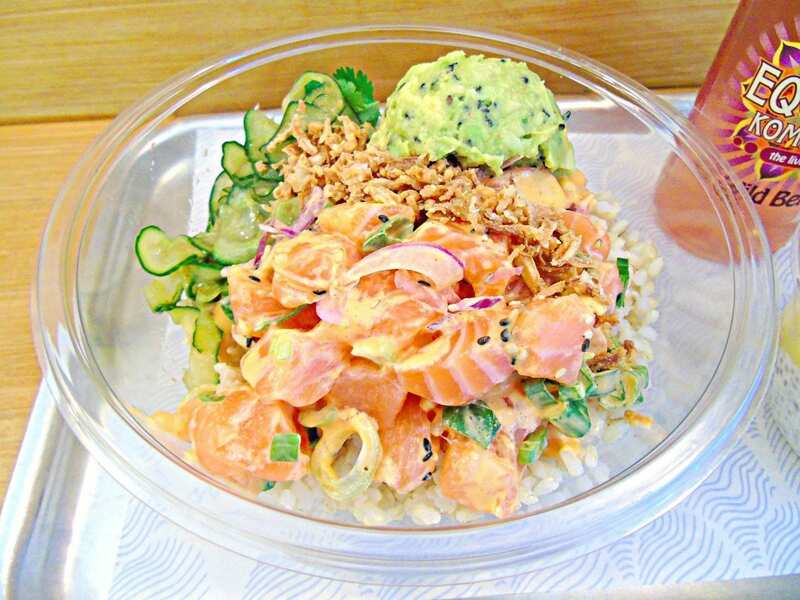 Had you heard about Ahi Poké before? Have you been there for a meal? What did you think? 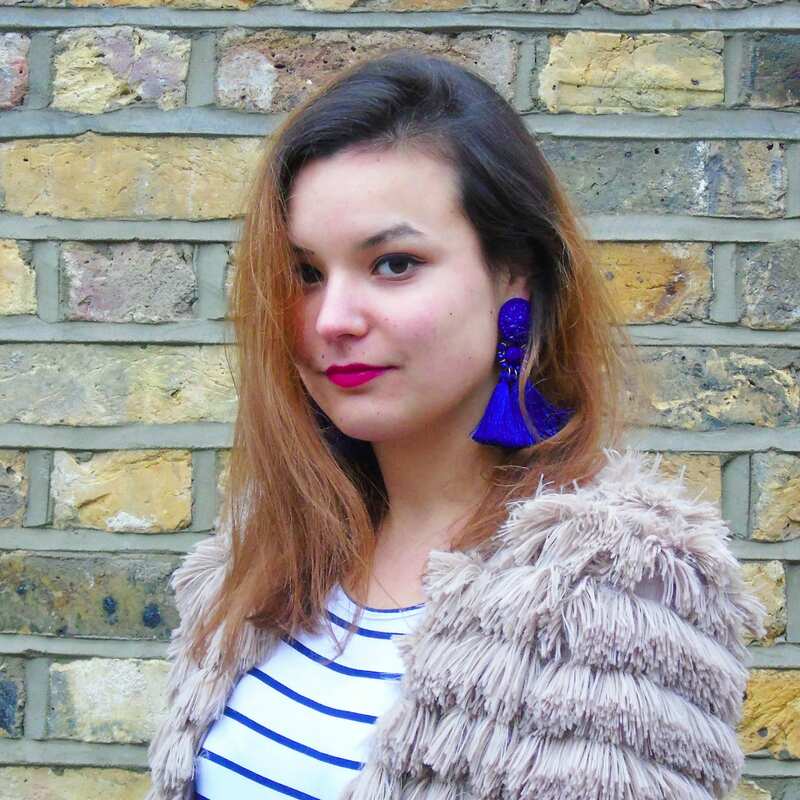 Would you go if you were around London? Have you ever eaten Hawaiian food? Thanks for reading. Hope you liked this post. *I was provided with a complimentary meal at Ahi Poke but all opinions remain my own.